Email safety is surly better these days. You hear less of people being hacked and such, though it does still happen. You occasionally get a message from a contact that you have not heard from in months and it just happens to have a virus that has been mailed out to everyone on their contact list. Here is how to become more secure with Email Safety tips. This may just have to be a fact that you learn to live with. The hackers and the developers who profit from cracking your email are working far faster and harder than you are. You may have to come to terms with the fact that you are not ever going to be safe. With that in mind, you may moderate how much sensitive information you have run through your email address. Instead of having just one email address you could have a few. You could divide your personal and private stuff amongst them so that even if one account is attacked then the rest will not be. You are not putting all of your eggs in one basket. The virus scanner on your computer is doing most of the work, with the help of your Windows operating system and your popup blocker (which is also a Windows feature). All of these are one of the biggest walls of defense that you have against hackers and such getting into your accounts and messing around. On other words you need to stay away from the companies that are not known or are not mainstream. Stick with companies who are mainstream. Just because a company asks that you pay them does not mean they are more secure than something such as hotmail which is free. The popup blocker mentioned earlier is good because there are lots of viruses that damage your computer via a pop up start. Without that start it makes it harder for them to get things going. This means having a long password that does not have any words in it and that is a mixture of letters and numbers, and that you only type it in on verified and private panels on your computer. Pay attention to the genuine email security tips and it make sure you try to follow them. This number is a compromise between having to change your password too often and getting on top of the hackers and crackers who want to gain access to your password. If there is a cracking program trying to get your email password then you will have just made it have to start again. On the other hand, if your emails are being spied upon then you have the chance to set things right. You can change your email address password and they will not be able to access your email anymore. It is fun to think of a bunch of frustrated hackers. You are able to change the settings on most mainstream email accounts. You need to look in to the settings on yours and go through each one to find out what you can do and what you can block. The email settings may work well with the security settings that you have for your computer. You would be surprised how little people are protecting themselves as a direct result of not going to the advanced section and toggling a check box. If you get an email and you are not sure about it, then do not open it. There is no need to risk your entire network because of your curiosity. You can look at the source code of the message. For example, with hotmail you are able to right click on a message and then at the bottom it allows you to look at the source code. This will show you all the programming for the email. You can also read the content on it to see if it makes sense. 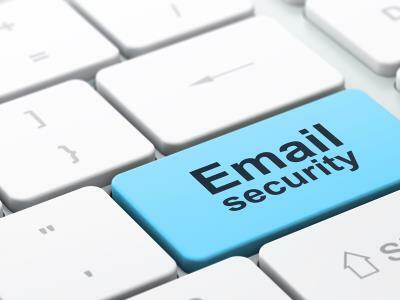 This is really a good default position that you should take if you want to protect your email full time, then you need to get a lot more picky and choosey about where your email goes and what is opened or not. If you are not sure then there may be danger.